"Li Si is a great fitness instructor. I started taking a beginning Pilates class with her and just from that class alone, she taught me to use my core, synchronize my breathing with my core, and exercise muscles I hardly ever use. 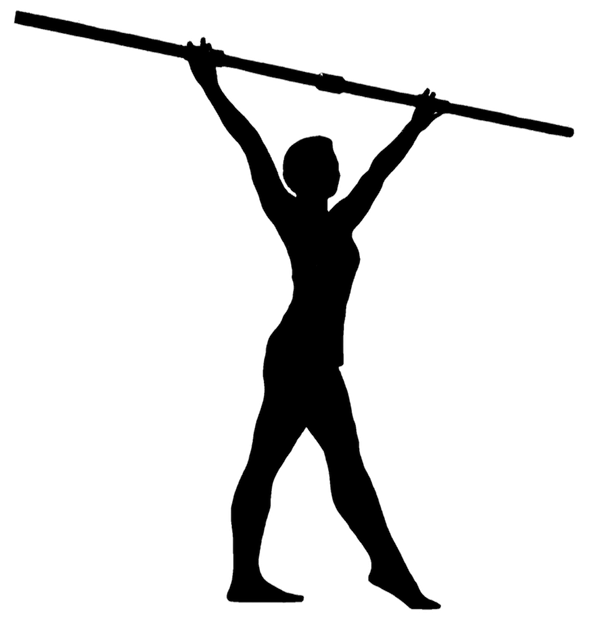 When I started her Fitness Cue class I was amazed how much you can do with just a 3 pound stick! This class taught me a lot about ideal alignments for certain stretches and I really enjoy the mix of the Fitness Cue exercises and the yoga poses. Li Si's class helped me correct my posture and she made me aware of my body's muscles in everything that I do. She taught me that even small movements in exercises and stretches are very effective to my body. I take her class regularly every week because I really enjoy her workouts and the advice she gives to me on problem areas of my body. I highly recommend her Fitness Cue to everyone, it truly is a great workout and it is a great way to do stretches and exercises the proper way." "I love the Fitness Cue. As you may recall my left shoulder has only two working tendons left. The Fitness Cue is the best thing for my shoulder and I use it every day I am home. It re-sets my shoulder in the socket and improves my range of motion. I have no pain at night if I have been home and used Fitness Cue. I am enjoying other benefits as well like stretching, strength and posture improvements. It also is a beautiful object and I don’t mind keeping it in my living room. Everytime I use it I am grateful to you and your partner for putting the time, effort and risk into developing this great piece of equipment." "Li Si's Pilates and yoga with the Fitness Cue® class is absolutely life-altering. I spend a lot of time on the computer writing, editing, and on social media. Li Si's class is the remedy for these practices. She is knowledgeable and professional and a ray of light in my week."